This entry was posted in Life reflections, Reinvention. Bookmark the permalink. Besty, I just saw your segment and was very inspired! I have cut back on my career though I haven’t done more knitting (just really prefer knitting as a part-time/occasional hobby). Looking forward to more of your blog! Nice interview! I’m 57 and it was very inspiring to me. What a lovely surprise to happen onto this morning. 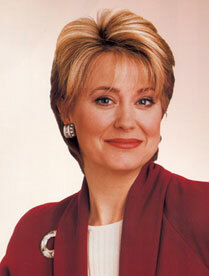 Your interview with Jane Pauley was really so nice. You did us proud! Just watched the interview. That was wonderful! What a great representative you are for all of us. You looked sooo calm and collected. Of course I’ve never seen you otherwise. I saw the information on Ravelry about the interview. How very interesting. I enjoyed reading the articles on AARP too. Thanks for doing this so well. Thanks. I, too, enjoyed the aarp.org articles that accompany the video that is slightly longer than what played on the Today Show. My favorite article was the one that talked about my teaching my daughter Becka how to knit. I really had thought that knitting was going to jump a generation here, as it had done in my case. So, my heart sung when she asked me several years ago to teach her, and it really sung very loudly when she picked it up so quick. I love that article where she was interviewed about that, as well as about her best selling nonfiction book. I’m so glad I happened to be passing by when your interview came on. You are inspirational. Lovely interview, and lovely blog, too. Thanks, Karen. I’m glad you liked the tv interview and the blog. Both of these are first’s for me. Life is so full of surprises! Just watched your segment on the Today Show website, and read the AARP article. You truly are an inspiration. I was a single mother, a nurse, working part time, earning just what we needed, so I could be home as much as possible for my children (I’m pretty frugal-LOL). I’d always expected when I became an empty nester, that I’d up my hours at my job to full time. But the time arrived, and I’d discovered knitting. I couldn’t imagine more hours at my stressful job, at this time in my life-mid 50s. So I kept my position, and all those hours I’d devoted to parenting, I’ve now channeled into my passion for knitting-socks, mainly. I still make enough to get by, and with the kids gone, expenses are less-so I have the luxury of knitting retreats, a couple cruises with a knitting group, and lots of gorgeous sock yarn. 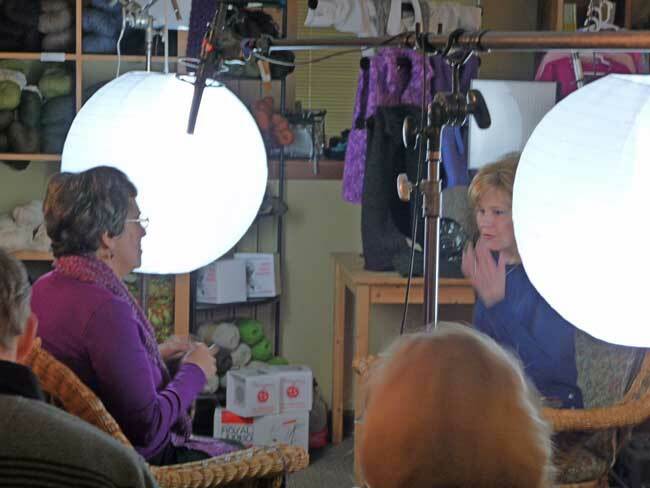 The highlight of my past year was attending Sock Summit-I really loved the Pacific Northwest, the beautiful yarns in the marketplace, taking a class on sock design with CookieA, and of course, all the wonderful fellow knitters who “get it” about sock knitting. I’m much happier living this way. Much more than I would have been had I gone for more money and more stress. Thanks again for a wonderful story. Margaret, it sounds like your life is working wonderfully for you. How smart to keep the time freed up and give it back to yourself for knitting. I, too, thoroughly enjoyed the Sock Summit and am looking forward to another one happening—-maybe next year. I don’t know that for sure but have heard positive rumblings about it. It was one of the most wonderful gatherings I’ve ever attended and a great place to teach. You are in inspiration to all women. Knitting is also my passion. However, knitting on the east coast does not seem as popular as it is on the west coast. I work a 9-5 job and I have shared my passion for knitting with my coworkers. One day I hope to teach on a broader scale. I also hope I can come out to the west coast one day and browse through the many yarn stores. Thanks, Karen. 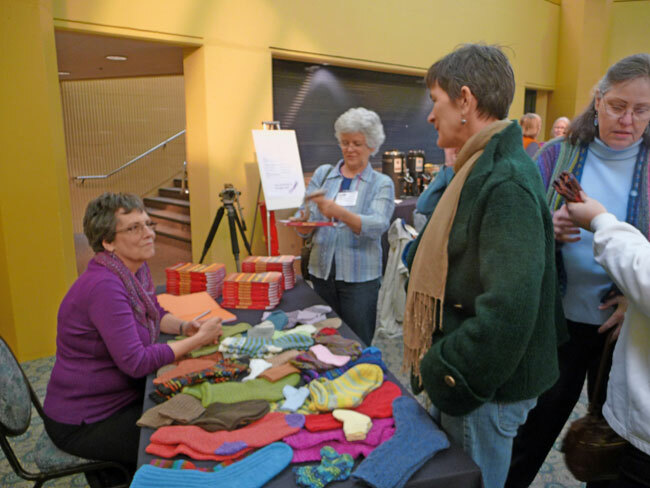 Although I don’t know exactly where you live, there are areas on the east coast heavily populated by serious knitters and spinners, as well a number of annual fiber festivals and related events. I feel fortunate, however, to live in the Northwest–we have good weather for knitting, lots of local yarn shops, opportunities to get together (e.g., the Madrona Fiberarts Festival, The Black Sheep Gathering, The Oregon Flock and Fiber Festival, to name a few) and lots of talented and experienced knitters. Is there a knitting guild anywhere nearby? They can be a real source of inspiration and friends. Love your blog and thanks for sharing. Hope to see you soon! I just saw your Jane Pauley interview on the AARP website and read the articles. You must have a parallel life with my mother in law. She is a quilter and proclaims to enjoy many of the same benefits and a result of doing her craft. Yes, a lot of us are living and enjoying parallel lives. I always think about how if any two of us got together, we’d find out we are more similar than different in the ways that really count! This is a nice informative post. Thanks for sharing.